Texas Governor Greg Abbott has declared a state of disaster in 18 flood-stricken counties in Central and South Texas. The counties covered by the declaration include Llano, Bastrop, Burnet, Colorado, Mason, McMullen, Travis and Williamson. Flood waters on the Colorado River at Lake Travis broke into the major flood stage above 695 feet Wednesday morning, according to the National Weather Service. The Llano River at Llano peaked at 39.9 feet in the major flood stage Tuesday before dropping to 12.8 feet in the moderate stage Wednesday morning. 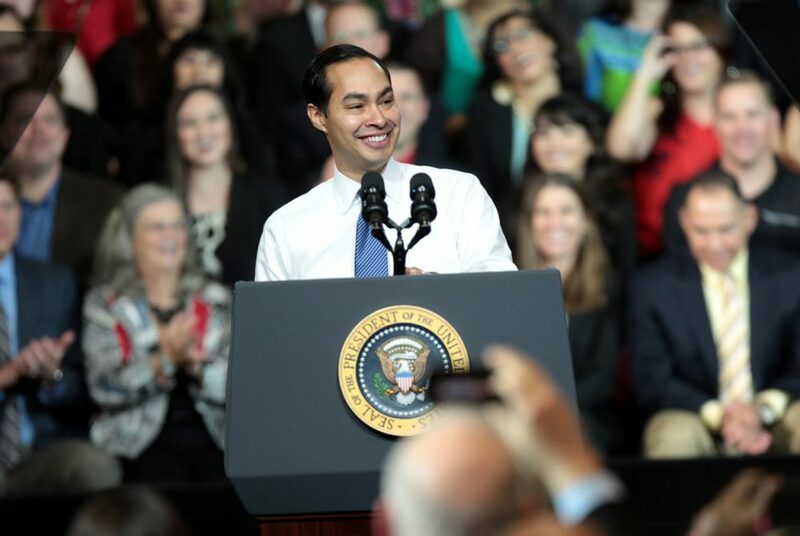 Secretary of Housing and Urban Development Julian Castro speaking before a speech delivered by President Barack Obama at Central High School in Phoenix, Arizona on Jan. 8, 2015. Former San Antonio Mayor Julian Castro says he will likely run for president in 2020. Castro would join a growing list of Democratic presidential hopefuls, including New Jersey Senator Cory Booker and Massachusetts Senator Elizabeth Warren. Castro says he’ll make the decision after the November midterm elections. 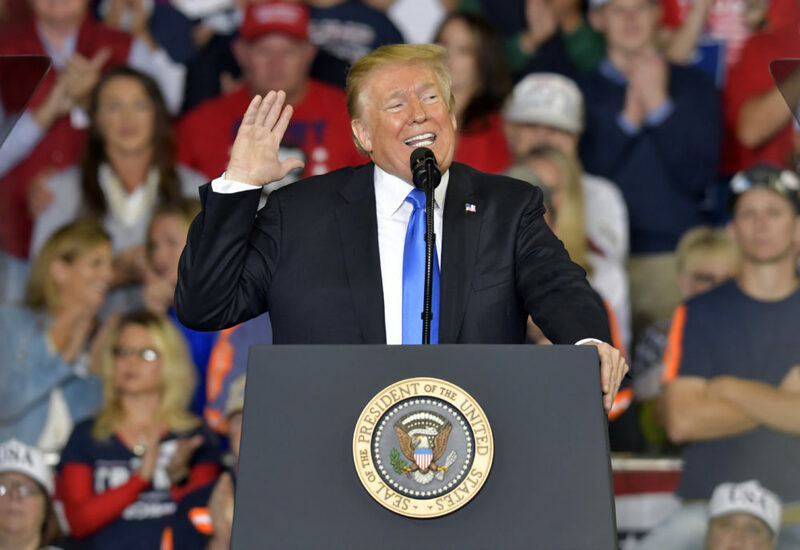 President Donald Trump speaks to a crowd at Eastern Kentucky University, Saturday, Oct. 13, 2018, in Richmond, Ky.
President Donald Trump will hold a rally at Houston’s NRG Arena next Monday, October 22, the first day of early voting in Texas. In addition to Trump, the rally will also feature Senator Ted Cruz and local Republican candidates. “People like Ted Cruz and many other Republicans need people who are Trump supporters but perhaps not die-hard Republicans to turn out and vote, and Donald Trump’s presence here in Houston will help drive them to the polls,” says Mark Jones, who teaches political science at Rice University. Cruz is locked in a tight re-election contest against Democratic Congressman Beto O’Rourke. But Trump’s visit may prove a double-edged sword, according to University of Houston political scientist Elizabeth Simas. “It may energize and mobilize Republicans and conservatives,” Simas says, “but it could also have a counter-mobilizing effect among Democrats and liberals as well.” That could wind up hurting Republican candidates in close races.